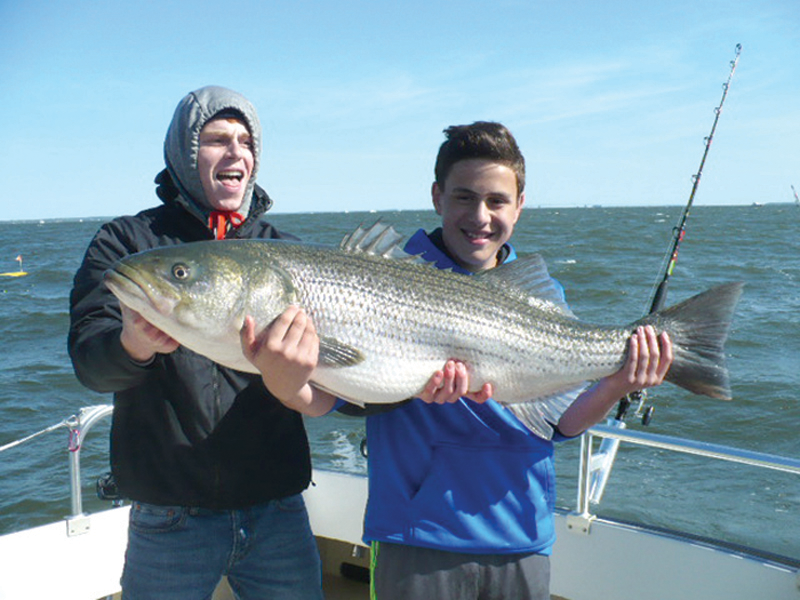 Maryland's spring trophy rockfish season kicks off April 20, and May 1 in Virginia’s portion of the Chesapeake Bay. We spoke to a few local charter captains who shared with us a little of their game plan for Opening Day. 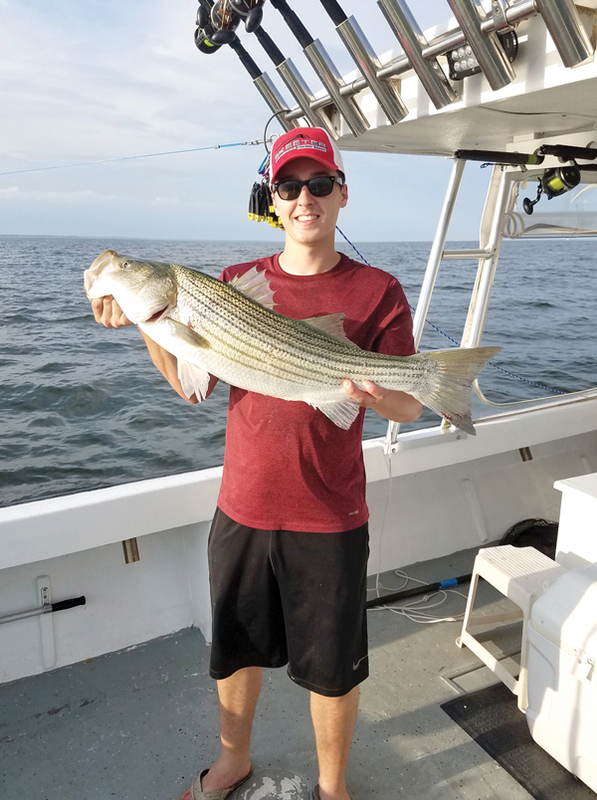 You can find contact information and more charter captains up and down the Chesapeake in our Charter Fishing Guide. And don’t miss the 18th annual Boatyard Bar and Grill Catch and Release Spring Fishing Tournament, April 20! And if you'll be catch and release fishing, make sure to keep those grip and grins brief when taking a photo to minimize the fish's time out of the water. Happy fishing! Spring Catch and Release Season: March 1-April 19—No harvest. Spring Trophy Season: April 20-May 15—one fish per person per day, minimum size 35 inches. Fishing locations allowed: Chesapeake Bay from Brewerton Channel to the MD-VA Line, excluding all bays, sounds, tributaries, creeks, and rivers, except Tangier Sound and Pocomoke Sound. Spring Trophy Season: May 1-June 15—one fish per person, minimum size 36 inches. Areas open: The Chesapeake Bay and its tributaries, except the spawning reaches of the James, Pamunkey, Mattaponi, and Rappahannock Rivers. Coastal: the area that includes Virginia’s portion of the Territorial Sea, plus all of the creeks, bays, inlets, and tributaries on the seaside of Accomack County, Northampton County (including areas east of the causeway from Fisherman Island to the mainland), and the City of Virginia Beach (including federal areas and state parks, fronting on the Atlantic Ocean and east and south of the point where the shoreward boundary of the Territorial Sea joins the mainland at Cape Henry). Potomac River tributaries: one fish per person. The area open for this fishery shall be those tributaries of the Potomac River that are within Virginia’s jurisdiction beginning with, and including, Flag Pond thence upstream to the Route 301 bridge. The minimum size limit for this fishery shall correspond to the minimum size limit as established by the Potomac River Fisheries Commission for the mainstem Potomac River spring trophy-size fishery. For more information visit the Virginia Marine Resources Commission. Captain Bob Flynn of Vickie Ann Charters operates out of Deale, MD, on a 38-foot Evans Somerset. 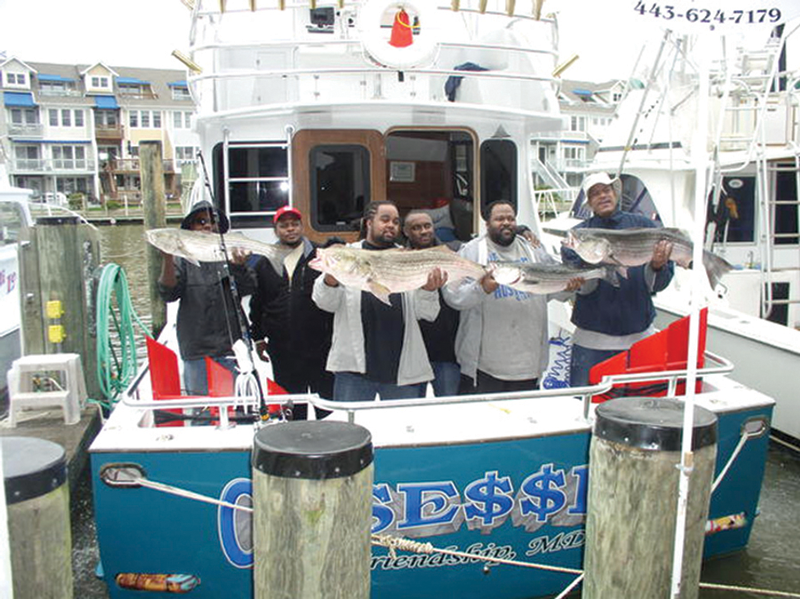 He can accommodate six people for spring trophy rockfish charters. Captain Bob says his strategy will be trolling 22-25 rods on a full planar board spread. He plans to start in the main channel of the Bay, starting with what worked last year and then adjusting accordingly. We asked Captain Bob what anglers can expect from a charter, and he says: “You can be as much or as little involved as you like. Some people just want a boat ride and others want to learn about the trolling spread; we’re open to everything. We’re happy to teach if they’re interested in learning.” He added that guests should make sure to bring sunblock, food, and soft soled shoes (preferably deck shoes), and that hard work boots would not provide good traction for a day on the water. Captain Mike Smolek runs Penny Sue Charters out of Anchor Yacht Basin on the South River in Edgewater, MD. The boat is a 40-foot Robbins and can accommodate six passengers. Captain Mike plans to fish out in the deep channel between the Severn River and Deale, running 22 rods on planar boards with parachute lures and nine inch shads. Any boating superstitions aboard the Obsession? You guessed it—no bananas. And their go-to boat snack? Royal Farms fried chicken. 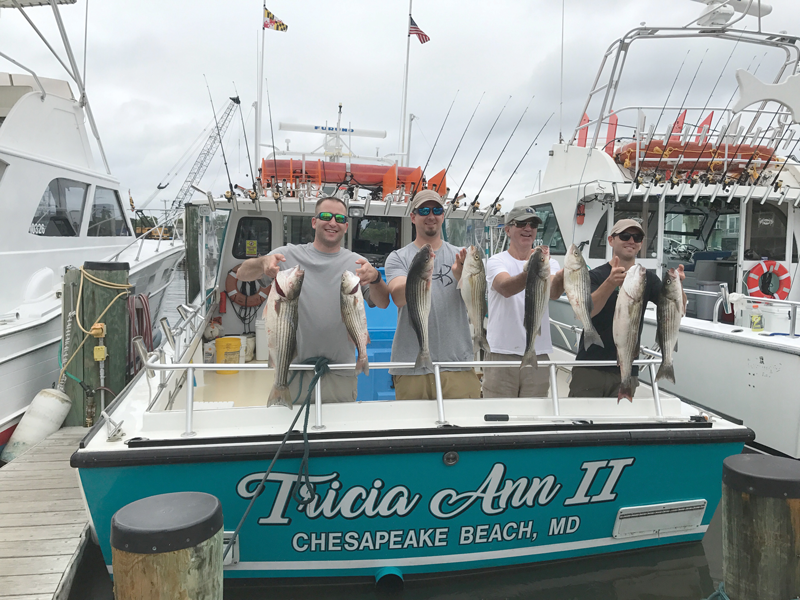 Captain Mike’s last charter on the Bay this season will be toward the end of May, and then he will be moving the boat to Ocean City to fish offshore. John O'Donnell, Zach Ditmars, Jeff O'Donnell, and Paul Clagett had a successful trip aboard the Tricia Ann II chumming for rockfish, post trophy season. 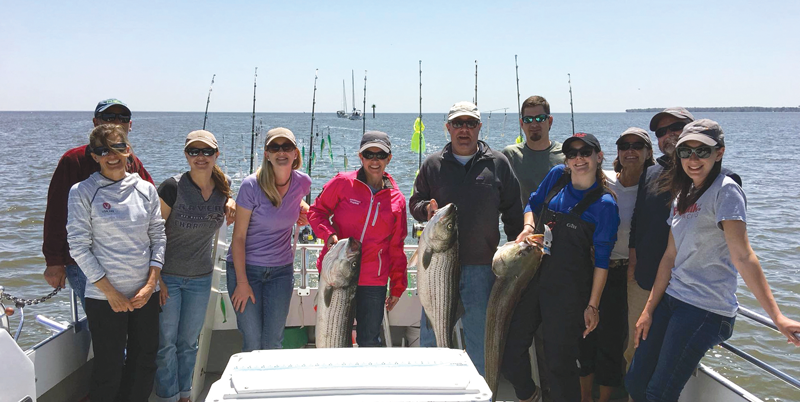 Last spring, our team spent a day of trophy rockfishing aboard Ebb Tide Charters with Captain Billy Gee. Check out the video below of our awesome fishing experience.